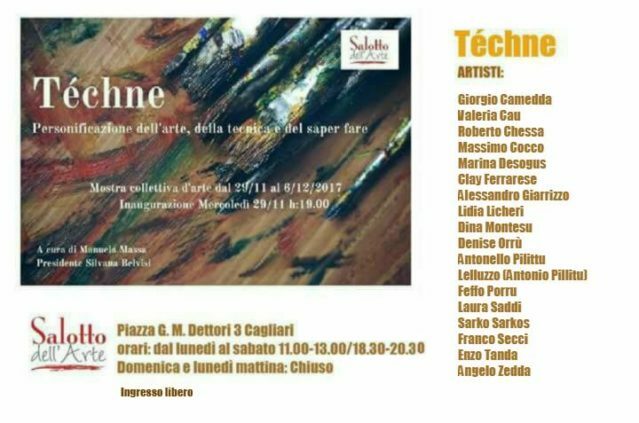 “Tèchne” – Collective Painting Exhibition At The Art Gallery Salotto Dell’Arte In Cagliari. With this exhibition the artist explores his own concept of art and “ability of making things”, analyzing his technique and personal vision. The project is curated by Manuela Massa. From 29th to 6th December; from Monday to Saturday 11.00 – 13.00/18.30 – 20.30.